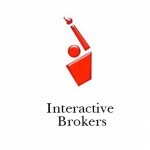 InteractiveBrokers (IB) made headlines last Friday when they announced that customer negative balances related to the Swiss franc move on ‘Black Thursday’ amounted to $120 million. The firm followed up that point of bad news by posting its Q4 and full year 2014 financial report this past Tuesday after the close of trading. Providing good news, the broker beat quarterly profit expectations by two cents, and has since rallied above the level it had been trading prior to the Swiss National Bank’s removal of its peg on the EUR/CHF exchange rate. The broker’s conference call following the release of its financial report provided IB the opportunity to provide clarity on its forex operations and the $120 million negative balances. Below are some of the key discoveries. Futures, not spot forex was the big culprit – One of the surprising reveals from InteractiveBrokers’ CEO Thomas Peterffy, was that of the $120 million in negative balance losses, 75% of it was attributed to forex futures, specifically EUR/CHF futures trading. Peterffy pinned this on margin requirements actually being lower on Swiss franc futures at the CME than for their spot FX offering. As such, traders were able to gain greater leverage on their EUR/CHF positions using futures, which Peterffy stated as only requiring 1% margin at the CME, rather than the 40:1 leverage available in their spot FX offering. Margin requirements – Peterffy was asked about the broker’s margin rates for EUR/CHF, as they are known to increase collateral requirements above exchange minimums. Peterffy answered that IB sets margin rates based on calculating for three standard deviation moves. But, with a non-volatile pegged currency, that calculation doesn’t work. As such, they were following exchange minimums for the EUR/CHF futures. 80% of losses from five clients – Describing the negative balance, it was stated that 80% of the $120 million losses were from only five accounts; composing of one organization and four individuals. The five parties were all non-US accounts, with IB identifying one from Spain and another from Hong Kong. As the losses are concentrated, it is expected to make the recovery process easier. However, Peterffy wasn’t sure about the financial wherewithal of these five accounts and the judicial process specifics to provide any sort of recovery rate percentage. Growing accounts – After achieving record account numbers in 2014, IB expects to continue to experience customer growth in 2015, as they believe the Swiss franc crisis will cause customers to gravitate towards well capitalized brokers such as themselves. China growing – Like many other brokers, China and Hong Kong business is IB’s faster growing region. Specifically, Peterffy noted forex trading when describing the China and Hong Kong growth. Forex is 9% of IB’s commission business – Another revelation was that spot forex accounted for 9% of IB’s commission-based revenues. The broker has typically kept this information private in the past, but related it during the conference call. Based on 2014 figures, the 9% figures relates to $85.7 million in spot forex related commissions. Using IB’s forex commission structure which is as high as $20 per million dollars traded but declines based on volumes trade, the broker averaged between $175 to $200 billion in monthly spot forex trading volumes. The figure proved to be well above our internal estimates for the broker. Kudos to longtime reader the ‘Real Andy’ for alerting us to IB’s conference call.